Connections is a fibre art series made by me and two friends, Dawna Dey Harris and Sharon Willas Rubuliaik. We call our group Filiamenta. We have been showing fibre art together for more than five years. 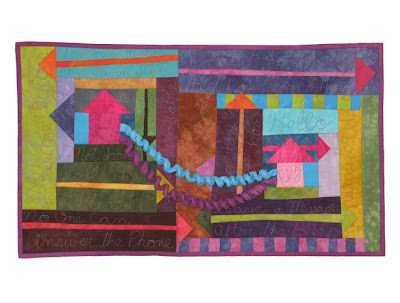 These two quilts are in the Connections series.